Bug Springs is one of the most fun trails Mt. 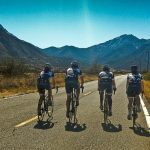 Lemmon has to offer, and has been officially “adopted” by the Sonoran Desert Mountain Bicyclists. 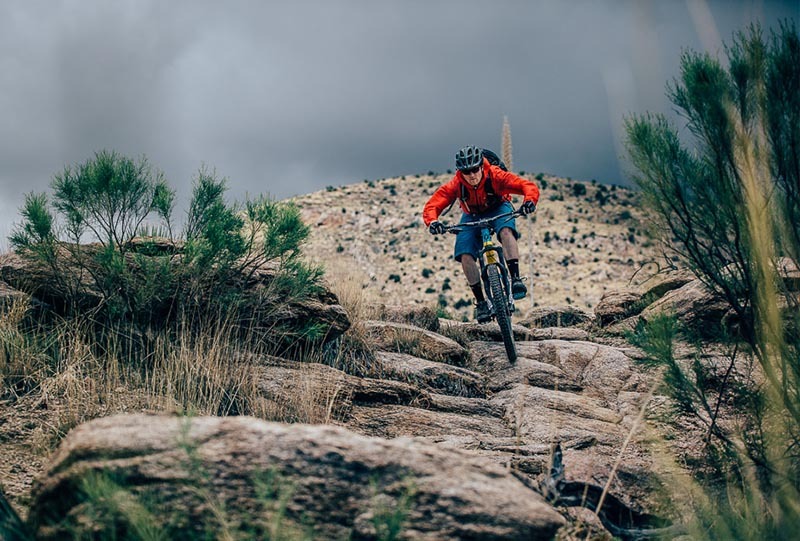 Tucson’s Mount Lemmon offers some of the best mountain biking rides in Arizona for riders looking great technical challenges as well as cooler climates. 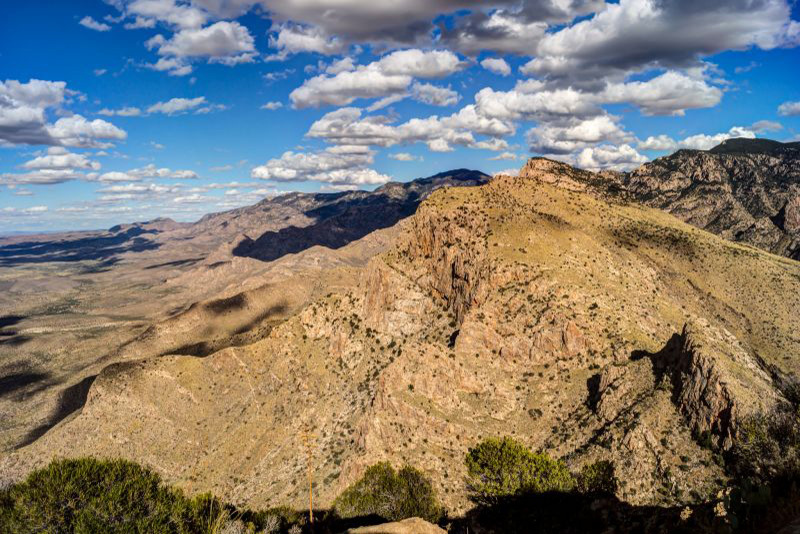 Lemmon Drop offers steep, tech trails and the challenge of higher altitudes at the start. 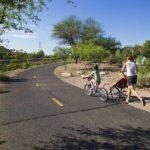 This incredible Tucson mountain bike ride links together the alpine beauty of the Green Mountain and Bug Springs trails to the lower elevation grinds of Molino Basin and La Milagrosa trails. 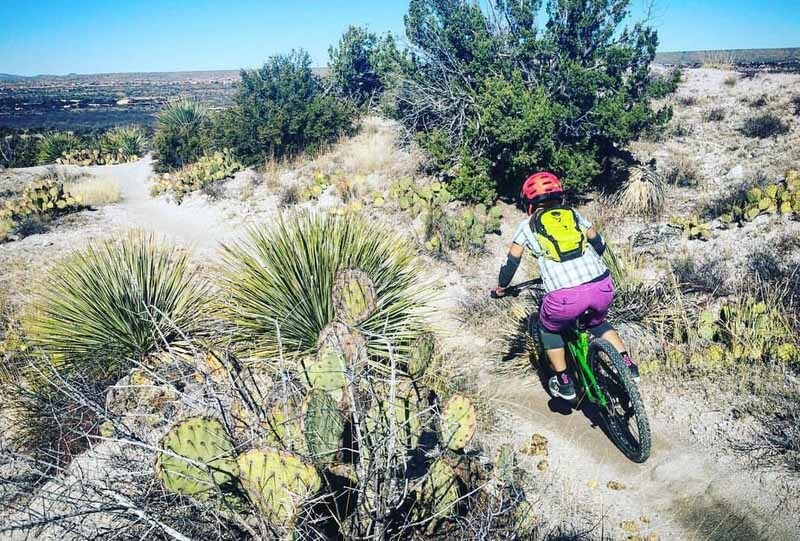 In traversing a large portion of Coronado National Forest and stretching from the Santa Catalina Mountains into the Rincon Mountains, mountain bikers can enjoy the spectacular diversity of this amazing landscape. 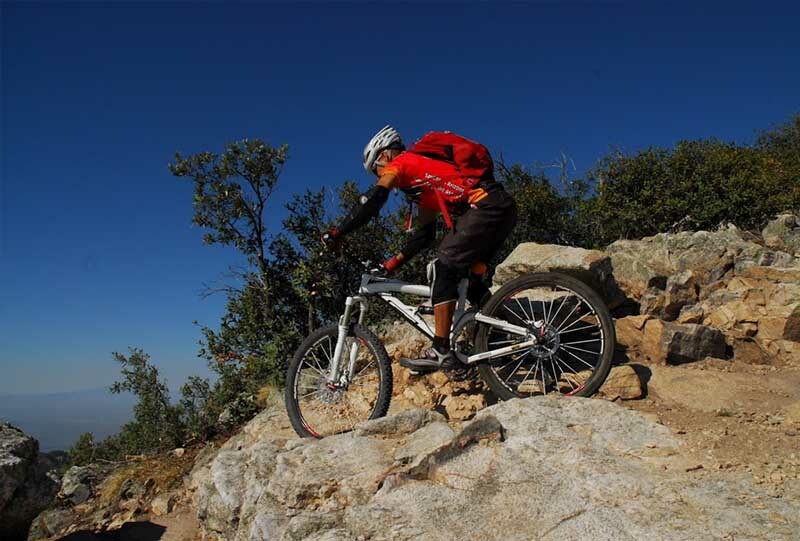 Most Mount Lemmon rides are ONLY for those who are in superior shape. We only recommend these rides to competant mountain bikers who are experienced. 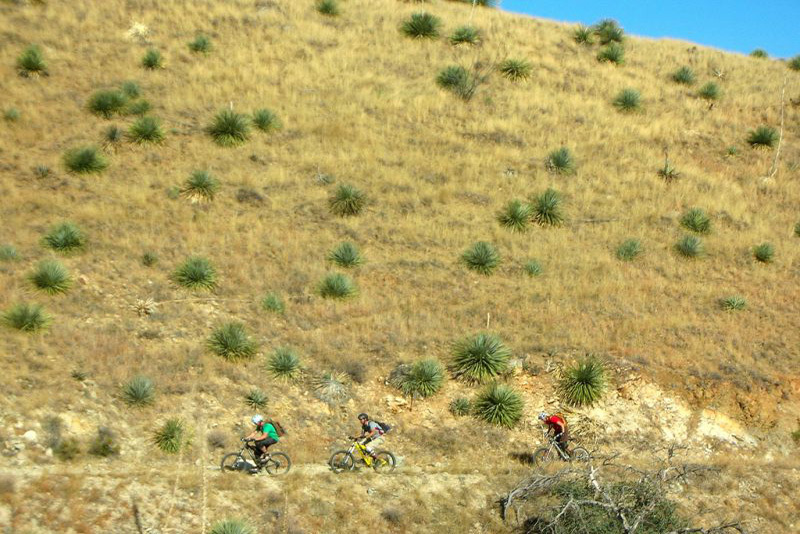 For less technical riding, think about going to the opposite side of the Catalinas. There you will find the backwoods of the CDO Trail – still rugged and challenging. 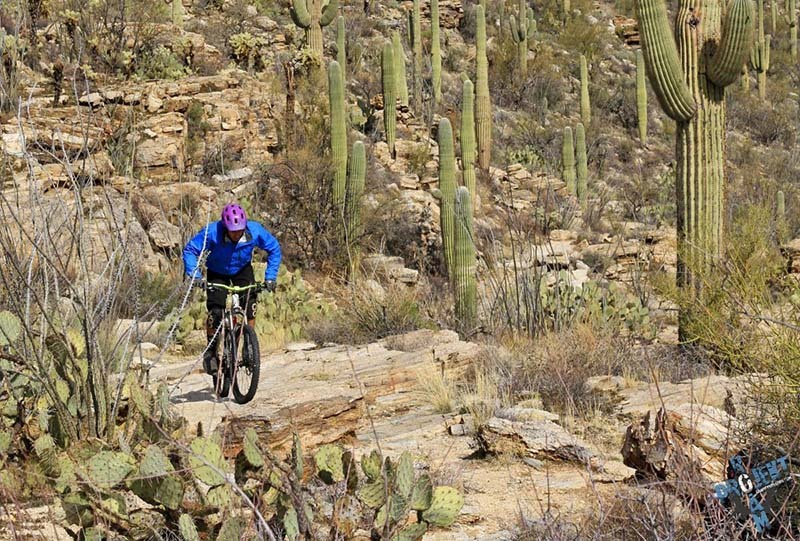 Arizona’s Mount Lemmon is one of our most popular venues for mountain biking. 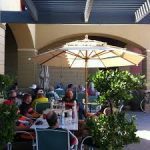 Get out of the Tucson desert and save yourself about 20 degrees! The Lemmon Aspen Meadow Trail is an incredible, cool ride, and a fun descent, but not incredibly long. Prison Camp trail begins at the southwest end of the Gordon Hirabayashi campground, and descends to the Molino Basin campground. We’re not sure how often this trail is used, and it mainly double-track used by the local Off-Roading enthusiasts. 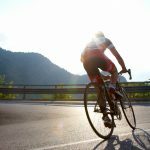 It is tough physically and technically (the downhill portion near the top has the potential for serious injury – it is very steep and also covered with loose rocks), and has one heck of a climb.